Winnie-the-Pooh is the world's most famous bear, and has been beloved by children around the world for 80 years since he appeared in the storybooks written by A.A. Milne and illustrated by E.H. Shepard. Most of us grew up with the stories about the silly old bear, so we were naturally very enthusiastic when Egmont asked us to bring the best of A.A. Milne's original tales to life for the first time ever. We have digitally reimagined the classic stories about Pooh, Piglet, Tigger, Eeyore and their friends for the iPad and iPhone. 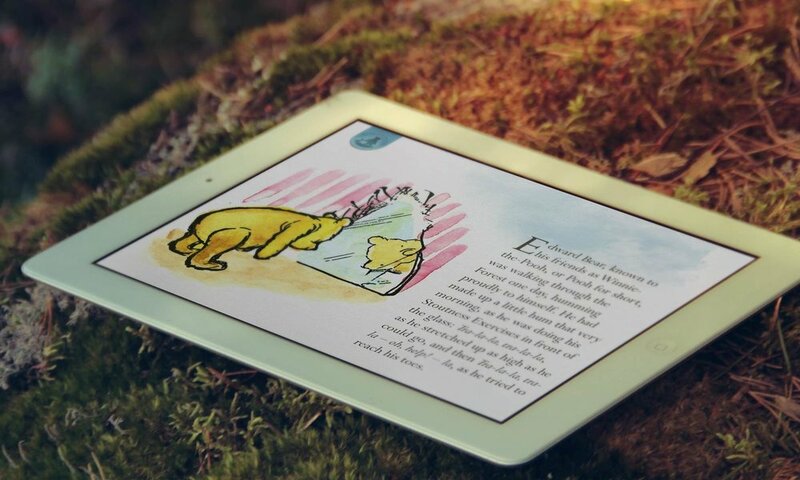 It is an honour for us to bring the iconic and beloved characters from the Hundred Acre Wood to life, so that parents and kids alike can interact with them and marvel as the illustrations move from black and white to full colour - bringing a touch of magic to bedtime reading.